The purpose of this article is to provide REST interface for Openxava (OX) application. 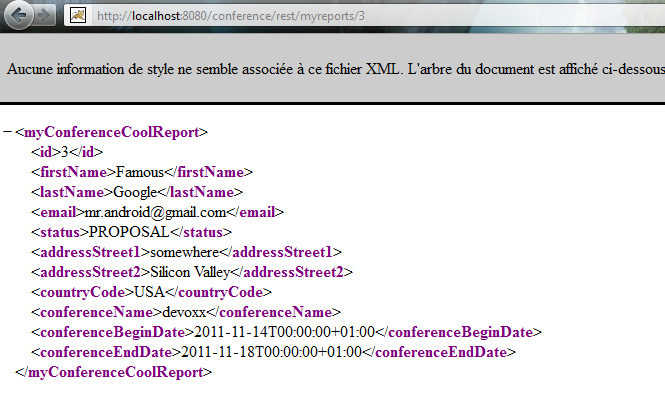 Jersey engine will parse the package for JAXRS annotation in the package "my.cool.report"
The previous snippet indicates that entity MyConferenceCoolReport contains a transient method (findById) use for REST GET operation and using the param reportId to load an entity. 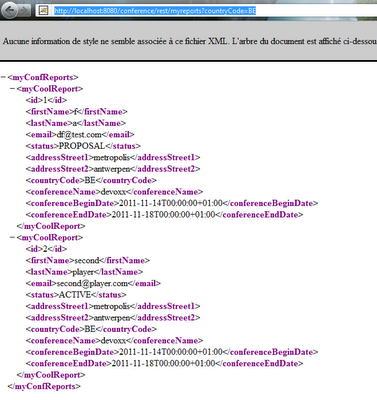 It can be returned either as Xml or in a Json format. Use the ant build on your project. Remark: do not forget when using openxava with eclipse to set "Build Automatically" on the "Project" tab. 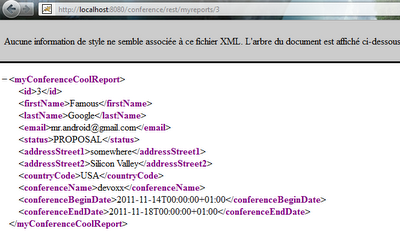 http://localhost:8080/conference/rest/myreports/ it returns in an XML format.